So far admin has created 44 blog entries. DoctorConnect clients proven to cut patient no shows by 50%-60% in the first week! When it comes to maximizing your appointment schedule and slashing your no-show rate, DoctorConnect has the industries best solution – proven week after week, client by client. Below is an actual email from one of our clients. By using DoctorConnect‘s Automated Medical Reminders, client was able to cut no-shows by 50% in the very first week! What kind of revenue increase would that mean for your clinic? Give us a call and let us show you how easy it is to implement our system at your practice. We have had a very successful first week. We have gone from 70 no shows the week before we started DoctorConnect to 30 not including today’s. That is more than a 50% drop. In addition to be the industries most powerful automated reminder system – combine that with our no-show management tools (and our powerful wait list manager), and you can cut drastically cut your clinics no-show rate with minimal effort. Even if you already use another reminder service – we can still drastically cut your current no-show rate, almost immediately – as verified by another one of our clients. Just wanted to let you know that since switching from our prior reminder service, our no show rate for the month is down over 60%! Looking for ways to improve your practice’s performance in 2018? Join us as we share ideas on efficiently increasing revenue, reducing revenue leakage, increasing patient retention, generating new business, meeting points for MIPS and how to start making your website work for you. 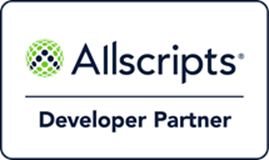 We are hosting a webinar for Allscripts clients on Wednesday, January 10th at 1pm EST. AdTel International is excited to announce we are now an approved HCA vendor. We look forward to providing DoctorConnect.net patient engagement software to all facilities in the US and UK wanting to increase revenue, reduce overhead, improve patient satisfaction and meet requirements for MIPS. The CMS ruling has been finalized on Emergency Preparedness in Healthcare. DoctorConnect.net gives you the tools you need for fast, effective communication with staff and patients during emergencies. The TimeBlock and Bulk messaging feature allows you to communiciate with patients and staff simultaneously from anywhere with customizable notifications of practice closings, location changes, and schedule changes in emergency situations. This DoctorConnect.net feature has voice, text message, and email messaging capability. Text message is the most effective when landlines are down. CMS states in the final rule, that the emergency preparedness requirements will be consistent and enforceable for all affected Medicare and Medicaid providers and suppliers, and address the three key essentials they believe are necessary for maintaining access to healthcare services during emergencies: safeguarding human resources, maintaining business continuity and protecting physical resources. 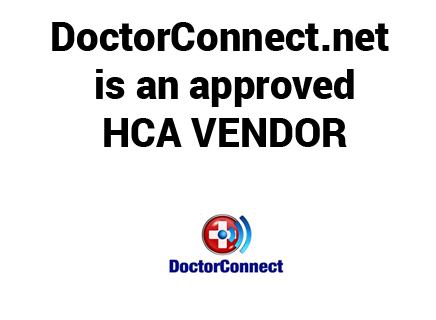 LAS VEGAS, NV, August 19, 2017 /24-7PressRelease/ — AdTel International, Inc.’s Doctorconnect.net is an interactive patient communication service using automated two-way text/SMS, voice, and email communications to increase patient and family engagement. Doctorconnect will be attending two Las Vegas shows in September 2017, The International Vision West Expo and Association of Otolaryngology Administrators. Doctorconnect will demonstrate many new user features and service upgrades. These features include better security with our migration to Microsoft Azure database, integrated payment due notices, lab result notifications, several new API partners, and custom patient surveys by location and provider. The new redesigned survey is specifically tooled to allow you to increase and track patient satisfaction for MIPS as well as measuring performance across providers and locations. Online reputation is including with surveys and will increase your practice ratings on all the major review websites. International Vision Expos, the worldwide conference and exhibition for eyecare and eyewear, are trade-only events that draw more than 30,000 eyecare professionals each year. Co-owned by Reed Exhibitions and The Vision Council, International Vision Expo gives back to the entire ophthalmic community. Proceeds from International Vision Expo are used by The Vision Council to educate consumers about the importance of vision care and the options in eyewear and other related products. In 2016, The Vision Council reached millions of consumers with its messages through marketing materials, public relations outreach and strategic partnerships. International Vision Expo & Conference is a proud supporter of Think About Your Eyes, a national public awareness campaign, presented by The Vision Council and the American Optometric Association, designed to educate the public on the benefits of vision health and promote the importance of getting an annual comprehensive eye exam. Keep this vital campaign going! Sign up at enroll.thinkaboutyoureyes.com. DoctorConnect.net is a subsidiary of AdTel International, Inc. that provids automated text, voice or email reminders to patients of upcoming scheduled appointments, reminders of vaccination schedules, re-care reminders, notices of availability of test results, notices of prescription refills, and notices of appointment schedule changes. The system allows patients to confirm appointments automatically or request a change in appointment time if necessary. The service is used by a variety of healthcare providers in a wide range of specialties and general medical practice as well as dentists, veterinarians, chiropractors, therapists, and home health providers. AdTel International, Inc. is a privately held corporation based in Dallas, Texas that has been providing communication systems through innovative technology since 1992. AdTel may be contacted at 972-503-0717 or via our website www.mydrconnect.com. Doctorconnect is pleased to announced automated integration for the Pulse EHR system. If you are a Pulse user, please contact us today! You know it’s coming, and you have probably listened to speakers or participated in some webinars to help you understand the hoops you’ll need to jump through. You have the information…so now you need the tools. In January, the game changes (again) for reimbursements. Give patients the ability to request appointments any time with the online appointment request feature that embeds into your practice website to for Expanded Practice Access points. ReCare is a recall outreach engine for Preventative, Wellness, Targeted, and Critical care to meet points for Population Management. This feature can also automate communication of pre-op instructions and post-op follow-up, as well as care information based on diagnosis code, appointment type, group, status, doctor, or location. Patient surveys provide patient insight on their experience allowing you to determine your strengths and areas needing improvement. Surveys also help meet the Practice Assessment points. For Emergency Preparedness and Response, nothing beats TimeBlock and Bulk messaging to notify patients and staff simultaneously of weather closings or emergency communication. And of course, we are the best at appointment reminder communication that is required to meet Meaningful Use measures, now included under MACRA. In a nutshell, DoctorConnect.net gets it done. Work smarter. Not harder. DoctorConnect.net is industry-leading software that takes control of meeting these points so you can focus on what you do best…patient care. In addition to be the industries most powerful automated reminder system – combine that with our no-show management tools, and you can cut drastically cut your clinics no-show rate with minimal effort. Since switching from our other reminder service, our no show rate for the month is down over 60%! If you use Physician’s Computer for your Pediatric EHR, please contact us today and let us show you how we can improve your office effiency, raise patient satisfaction, and slash your no-show rates. It’s fast, easy, and very affordable. Many clinics report seeing their no-show rates slashed by as much as 80% when switching to our system from their current method or provider. Call us today for a quick demo and see how easily we can get you up and running with the industry’s most advanced patient engagement system. PCC (Physician’s Computer Company) is an independent software solutions firm exclusively working to meet the needs of independent pediatricians nationwide. Since 1983, we have built tools, provided consulting, and offered support to pediatric practices who seek to improve the health of their patients and improve their bottom lines. DoctorConnect.net is pleased to welcome our new clients utilizing the OPIE SOFTWARE system. Automated 2-way Appointment reminders by voice, text and email. OPIE is a Gainesville, Florida-based company dedicated to serving the technology and business needs of the orthotics and prosthetics profession. Our software platform provides electronic health records, workflow, billing and practice management to over 900 independent orthotics and prosthetics facilities. Through our technology and consulting divisions and our many partners, we are dedicated to improving the quality of care received by millions of amputees and orthotic patients worldwide. Operating from the same location in Dallas, TX since 1992, Adtel International has helped thousands of businesses increase profits, improve efficiency and increase customer satisfaction.